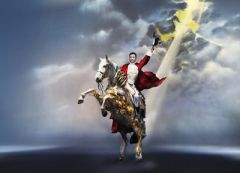 Martial arts superstar Donnie Yen and actress / international supermodel Du Juan have teamed up with one of the world&apos;s most influential photographers, Nick Knight, for City of Dreams&apos; stunning new brand campaign. The countdown to the official unveiling of Morpheus hotel at City of Dreams - "The Icon of the New Macau" - reached fever pitch today as more than 100 media from across Asia were given a sneak peek ahead of the Grand Opening tomorrow, June 15. 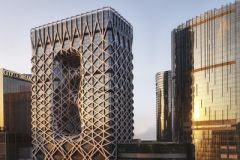 One of the most eagerly anticipated developments in Macau&apos;s history opened its doors to media for a sneak peek tour today as Melco Resorts & Entertainment unveiled its new flagship hotel, Morpheus, at its renowned City of Dreams resort.